I’m lucky in the sense that tidying and decluttering comes pretty naturally to me. I just prefer living in a space that has a sense of order. It helps me to feel calm and helps me to sort through my mental clutter if my physical space is tidy. I thought I’d share some stuff on tidying and decluttering – everything from my own advice to resources I continue to find beneficial. So, first off, I’m going to write in terms of a clean bedroom because that’s my point of reference, but these ‘rules’ can be applied to any part of your home. The first step to cleaning your room and making sure it stays clean is to declutter. If you’re a Marie Kondo fangirl like me, then decluttering is nothing new to you. But essentially, it refers to the removal of unnecessary items, be it clothing, papers or anything that has no use to you and just takes up space. I cannot emphasise the importance of this step enough. There is honestly no use in organising and tidying things that serve no purpose to you. Whilst it can seem like a daunting task, especially if you haven’t done it in a while and a lot of things have accumulated, doing it in smaller chunks will feel less overwhelming. Work through your things category by category. I generally split things into a toss/recycle pile and a donate pile. After deciding what things you need or want to hold onto, it’s time for my favourite part – organising. The reason why many people struggle to keep their spaces tidy is either because they have too much stuff (enter decluttering) or because their things don’t have designated “homes” so everything just ends up lying around until it gets used again. 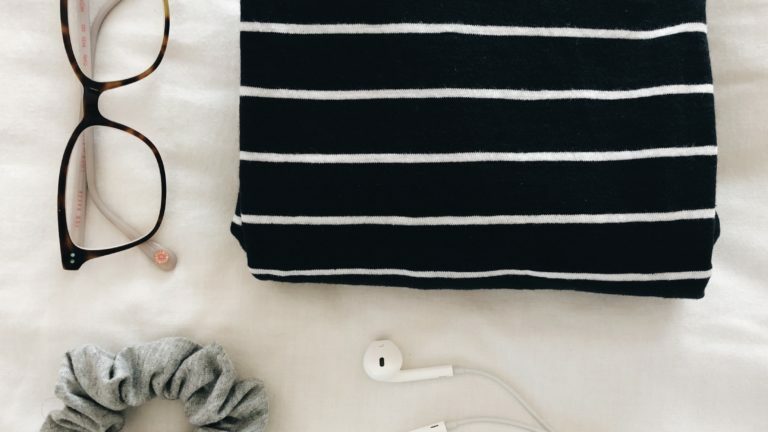 Having a specific place for everything will make keeping your room neat so much easier because when you’re finished using something, you just put it right back, and when you do need to clean up at the end of the day or week, it’ll go quicker too because you don’t have to think about where to put things. Another thing to try is to keep the same kinds of things together. For example, I have a beauty drawer where I keep all my skincare (that isn’t on my dresser for daily use), unopened products, make-up, hair things, etc. All my jewellery is in one shelf and all my papers and books are together too (well, mostly). I find that this helps immensely too, and you’re also less likely to loose your stuff. Make your bed! Honestly, don’t underestimate the difference this can make. It’s always the first thing I do when I’m clearing up. It instantly makes your room feel more put together. Throw papers away immediately when you don’t need them anymore. By doing this, you will avoid the need to sift through huge mounds of papers to see what you need/don’t need. Following on from the last one, put papers that you do need into their respective files/folders as you work to minimise unmanageable piles of paper. I usually have one stack of papers on my desk with stuff I’m using (like assessment rubrics/design briefs/etc.) and need to consult often, but I sort through it every week or so, to avoid having too much stuff pile up. As boring as it sounds, pack away your laundry as soon as you can. Again, this will hopefully prevent a mountain of laundry from piling up, and you’re more likely to pack neatly if you have a more manageable amount to pack away. Try to avoid too much clutter on your surfaces. My surfaces certainly aren’t bare, but every few days or so, I just walk around and put things (that don’t need to be there) away. I hope you find some of this helpful! Remember, your room doesn’t have to look like something off Pinterest. It’s a space that you’re supposed to live in, so don’t bother if it doesn’t look like a styled photograph. Also, experiment with different tidying and organising methods and create a routine that works for you, and is suitable to your schedule and life. You don’t have to spend all your waking hours trying to keep your room clean! (This took me a while to learn haha). However, you will find that having a tidier space helps to calm your mind. It is often said that the state of your physical space is a manifestation of your mental space and I tend to agree. Here are some resources you might find helpful. Honestly, this book is so good. Pretty sure I’ve read it two or three times. It really helps you to get a sense of tidying and understanding that physical stuff shouldn’t weigh you down. Find it here (e-book version). This blog by Sophie is really well written and has new content on a regular basis. Read it here. I’ve linked a bunch of resources that I reference on my Pinterest. Find the board here. Happy tidying, everyone. I sincerely hope you reap the benefits of having a tidy space. If you have any more questions about this topic, ask away.